Family isn’t who you’re born with, it’s who you die for. In 1968 New Bordeaux, you are Lincoln Clay, combat-hardened Vietnam vet and sole survivor of the city’s slaughtered black mob. Hell bent on revenge against the Italian Mafia responsible, you’ll build a new crime family on the ashes of the old and inflict military-grade retribution any way you choose to take down your enemies and own the city. 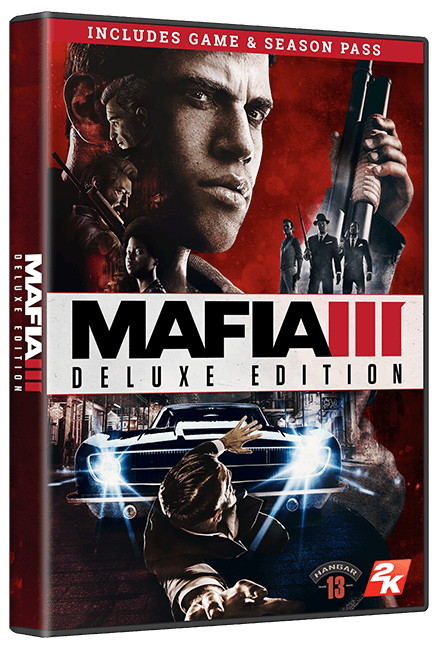 The Mafia III Deluxe Edition includes the full game and season pass. 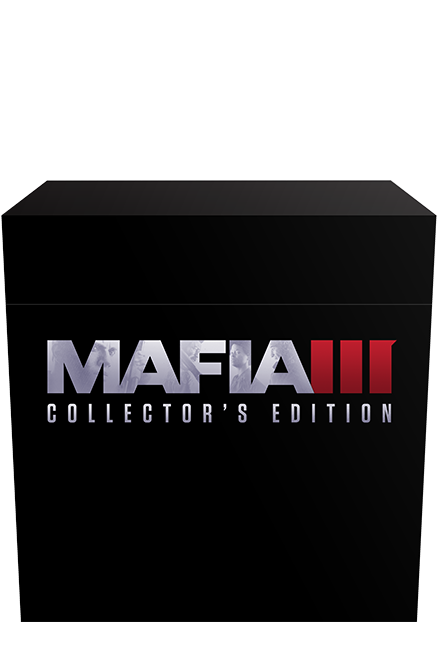 The Mafia III Collector's Edition is packed with physical and digital items, providing a window into the sights and sounds of a turbulent 1968 New Bordeaux, Louisiana, the vast, diverse and seedy criminal underworld of Mafia III. 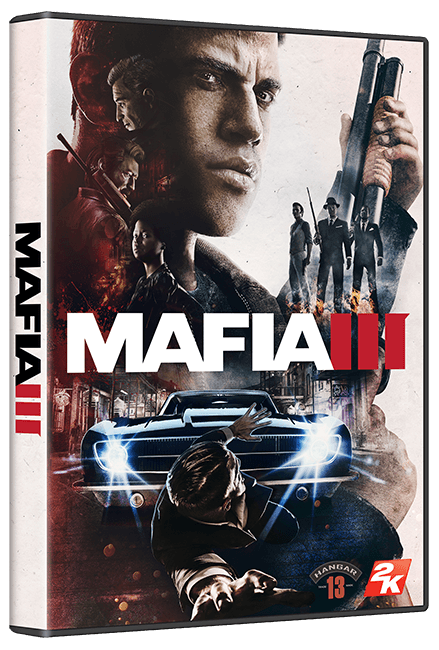 The Art of Mafia III Collectible Art Book by Insight Edition. Lincoln Clay Replica Dog Tags. Faux Leather Establishment Drink Coasters. Mafia III: Original Game Score - 180 gram audiophile pressing! 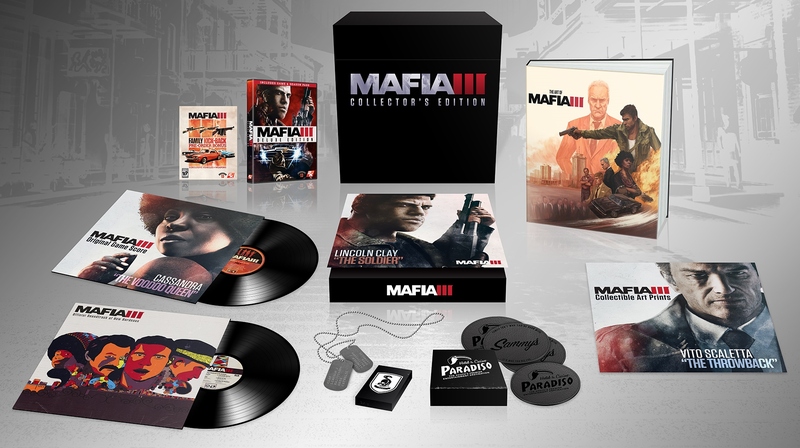 Mafia III: Official Soundtrack of New Bordeaux - 180 gram audiophile pressing!